Late Monday, China's National Development Reform Commission listed crypto-mining among industries it intends to eliminate because of its environmental impact. The agency will allow public comment on the guidelines until May 7, but warned that they could take effect as soon as they are issued. As Bloomberg reports, China was once home to more than 90% of bitcoin trading and 70% of mining, thanks to notoriously cheap subsidized energy, particularly in the countryside. But after a crackdown began in 2017, most of the big mining pools in the country – including Bitmain – decamped for abroad, setting up mining pools in Canada and elsewhere. 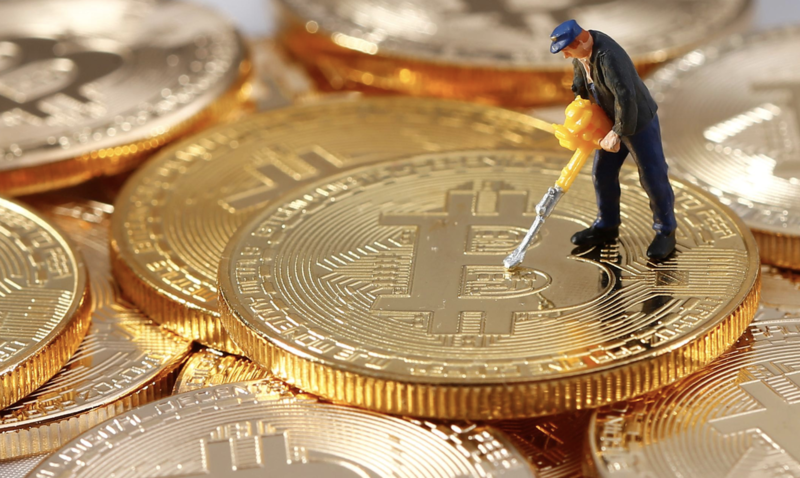 Back in 2018, Beijing reportedly asked local authorities to try and push crypto miners out. 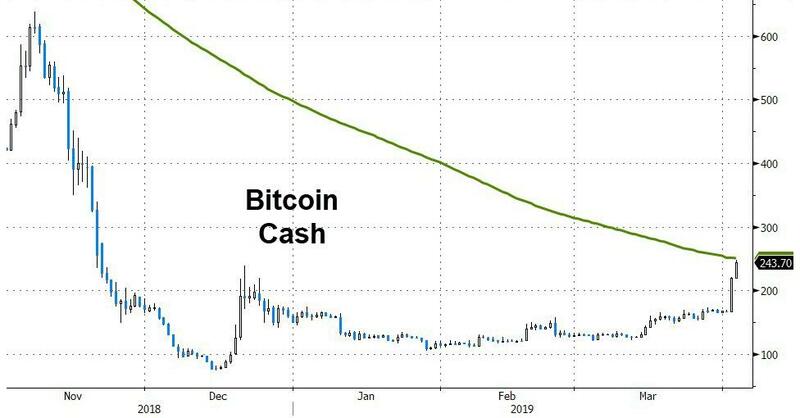 Update (1950ET): The third leg of today’s massive surge in cryptocurrencies has lifted Bitcoin Cash up over 50% on the day, Bitcoin and Ethereum up around 20% and Litecoin up 30%. Bloomberg reports that the surge at the start of Asian trading on Tuesday was likely triggered by automated software set up to execute a $100 million trade across three exchanges, according to Oliver von Landsberg-Sadie, chief executive officer of London-based crypto firm BCB Group. “Some people are in the camp where algorithmic trading is a manipulative device, and others are of the view that they are a way to make markets more efficient,” von Landsberg-Sadie said. 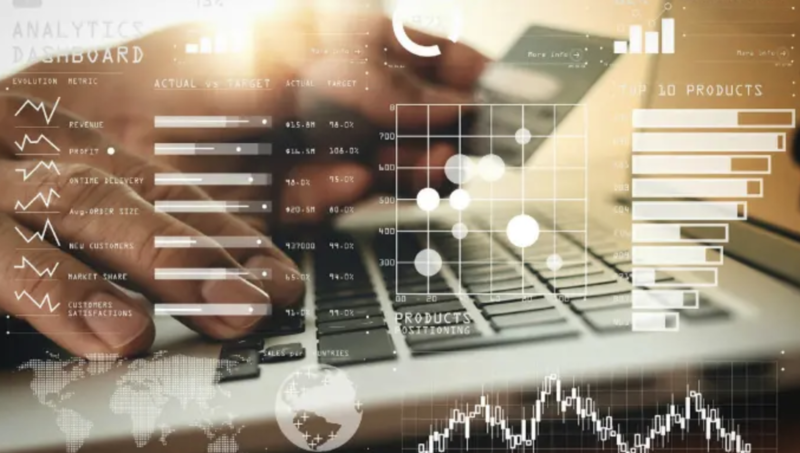 “I am definitely of the second view.” BCB Group helps clients place large algorithmic trades to minimize market impact. The number of algorithmic crypto traders has jumped in the last seven months, with 17 algo or quantitative funds started since September, according to Crypto Fund Research. They account for more than 40 percent of crypto hedge funds launched during the period, the firm said. It is clear that this is anything but an ‘April Fools’ joke as so many mainstream media types tried to shrug off the action. The big moves have occurred as European markets opened, as US markets opened, and now as Asian markets opened. 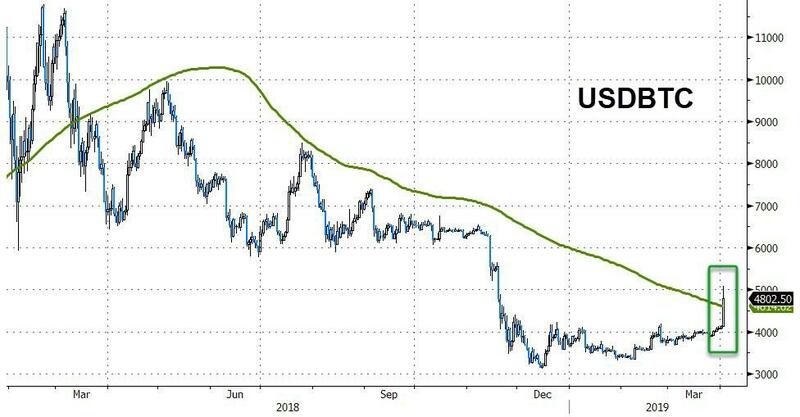 While there remains no specific headline catalyst for the moves, Jim Grant offers one potential clue, noting the nearly identical level of activity in tether, the purportedly dollar-backed crypto. 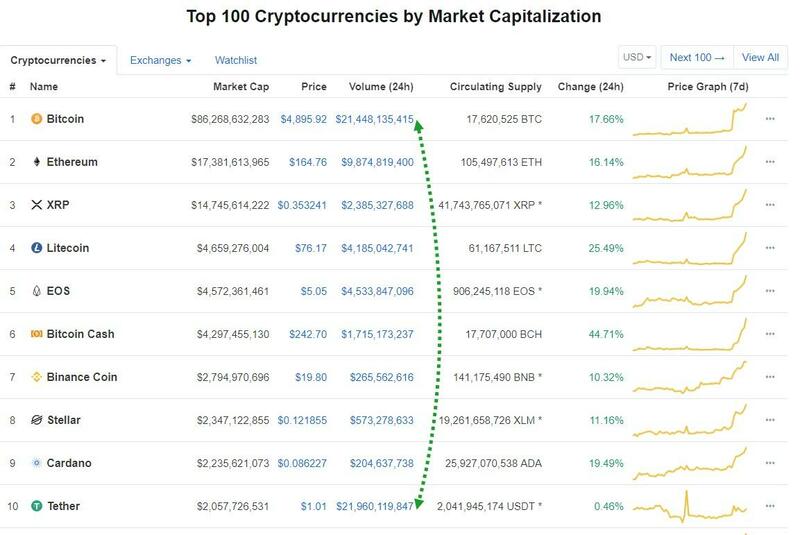 While bitcoin (with an aggregate market value of $86.3 billion) has logged $21.5 billion of trading volume in the past 24 hours, the much-smaller tether (market value: $2.1 billion) has registered $21.9 billion over the same period, according to data from CoinMarketCap.com. 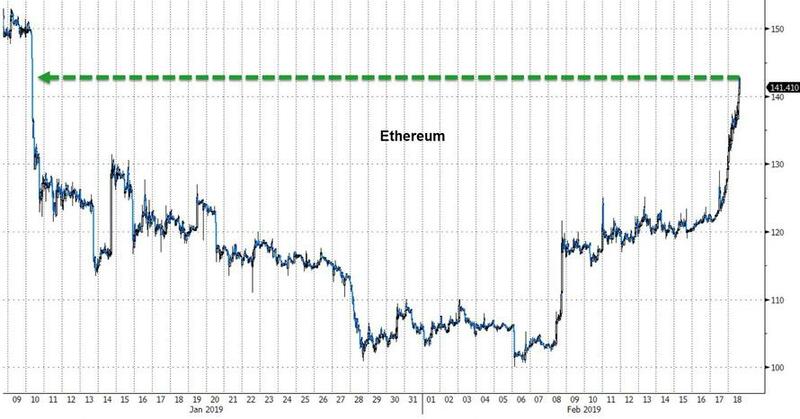 By comparison, ethereum, which sports a market cap of $17.4 billion, has seen 24 hour trading volume of $9.8 billion. 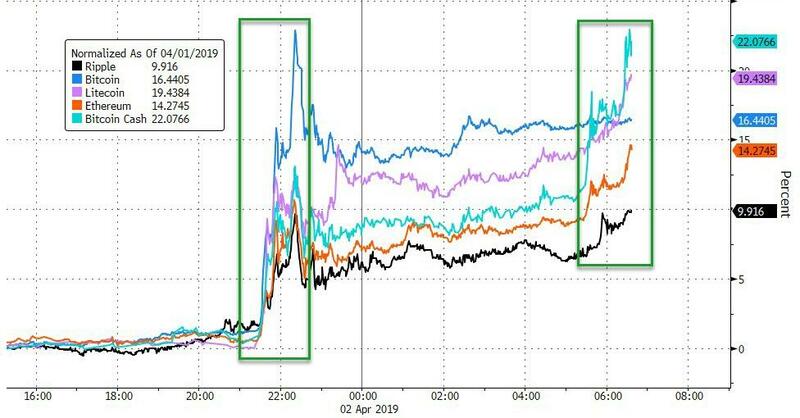 As Nomura's Charlie McElligott observed: "things that make you go hmm", pointing out that the return of vol suppression by central banks (recall that in 2017 bitcoin was used by even conventional trading desks due to its massive volatility), and the resumption of speculative assets bubbles, has benefit cryptos which blasted off higher, with most rising above their 200DMA for the first time in a year. 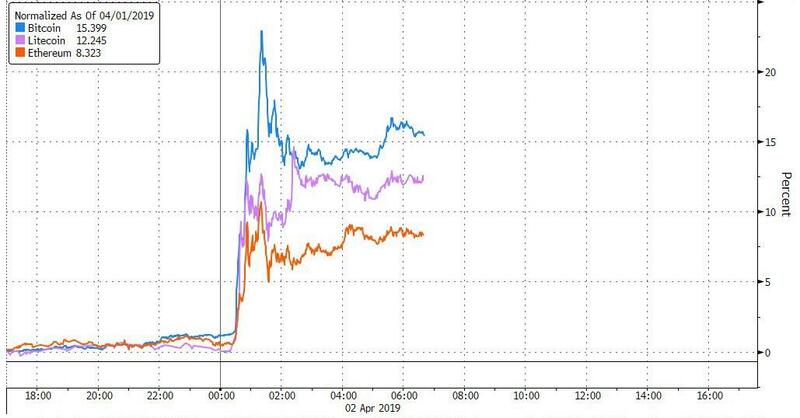 The CBOE may be regretting its decision to abandon Bitcoin futures trading this morning, when shortly after midnight Eastern time, bitcoin suddenly broke the calm that had blanketed the crypto space for over three months, when it exploded as much as 23% or $1,000 higher in minutes, rising briefly above $5,000, its highest level since November, and pushing the entire $160 billion cryptocurrency space sharply higher, with rival coins Ether, Litecoin also soaring, as did cryptocurrency-linked stocks including Remixpoint and CMC Markets Plc, as well as that old market favorite Riot Blockchain. 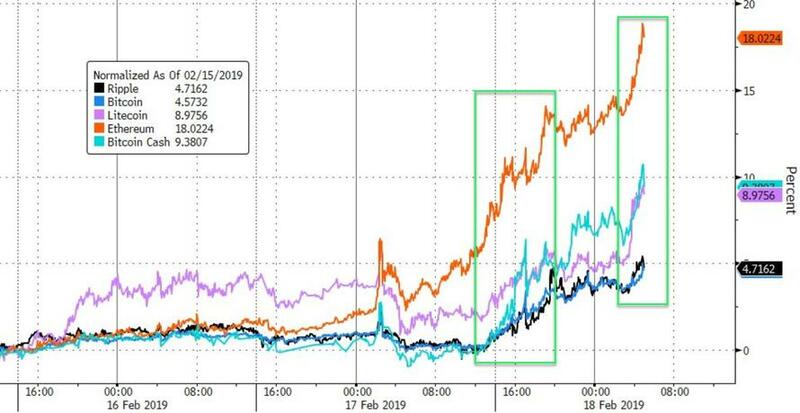 At its peak, the intraday move, which added more than $17 billion to the value of digital assets tracked by CoinMarketCap.com, was the biggest since early 2014. Even after paring some gains, with bitcoin currently up just over 15% at $4,777.81, the daily swing was the biggest since the euphoric peak bubble days of late 2017. 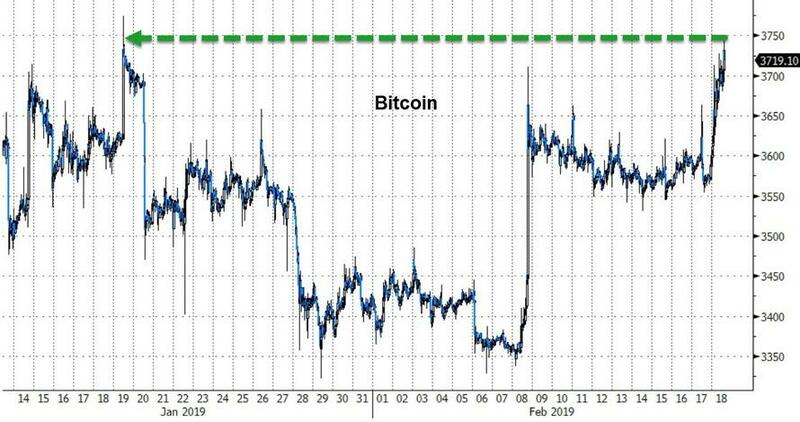 Understandably, traders was keenly focused on identifying the catalyst behind the move although a clear reason for the sudden surge has yet to emerge. George Harrap, chief executive officer at Bitspark, told Bloomberg he’s putting “most things on pause” until the market settles down. His contacts in the Bitcoin community have yet to identify a catalyst for the sudden jump. “The reason why? 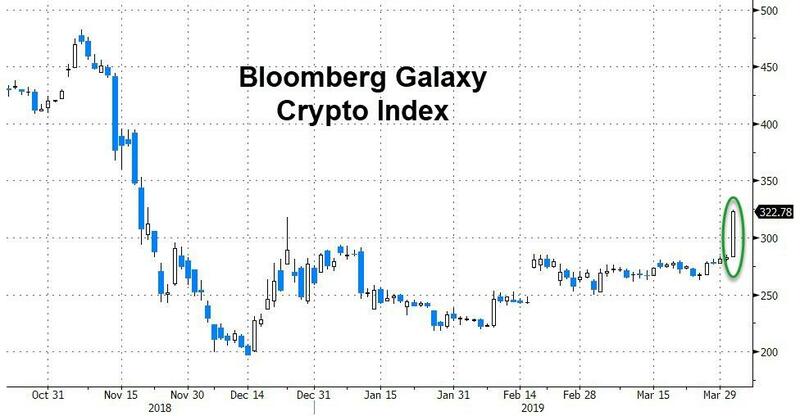 Anybody’s guess at the moment,” Harrap said, as analysts could not point to any specific news or developments in the cryptocurrency sector that could explain the mystery buyer’s big order. 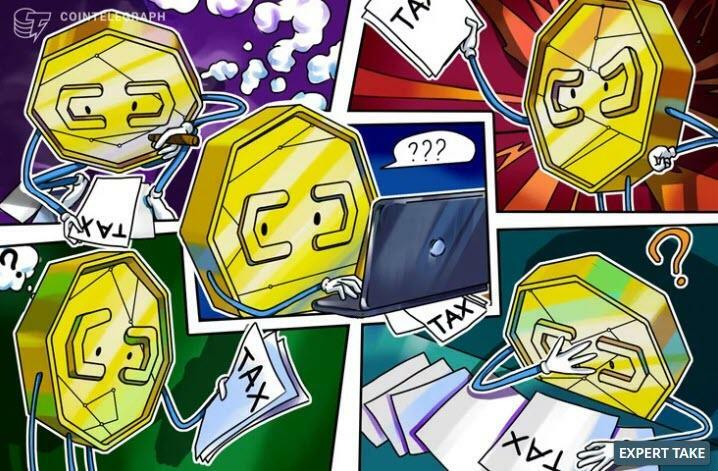 Some of the potential triggers cited on trading desks and in social media included a sizable block of expiring puts, short covering by traders who had stop-loss orders around the $4,200 level and an April Fool’s Day story on a little-known online news site claiming that the U.S. Securities and Exchange Commission had approved Bitcoin exchange-traded funds, although that was quickly discounted as the gains persisted even after the story was discounted. Facebook is reportedly preparing to launch its own version of Bitcoin, for use in its messaging applications, WhatsApp, Messenger and Instagram. Could this “Facecoin” be the long-awaited breakthrough by a global technology giant into the lucrative market for retail financial services? Or will it be yet another exaggerated “crypto” project, buying into the continuing excitement about decentralised peer-to-peer exchange but, in the end, not delivering very much? Time will tell, but my two decades of research into the economics of payments makes me sceptical. Some investigative journalism from Bloomberg and the New York Times reveals a little more. Facecoin (and the similar “Gram” cryptocurrency being developed by the privacy focused messaging app Telegram) will apparently be a “stablecoin”. Rather than having a fixed amount of currency that fluctuates in price, depending on demand, Facecoin will have a fixed price and the amount of it in circulation will vary. So unlike Bitcoin it will not be a vehicle for speculation. What will the fixed price be? Bloomberg reports it will be fixed against the dollar. The New York Times says that it will be against a combination of dollar, euro and yen. Who will use it? Facebook is apparently focusing on providing a technology solution for the large and lucrative remittance market for payments into India. Will transactions in Facecoin be anonymous like those in Bitcoin? No, they will be associated with Facebook accounts, so they won’t be an easy means to avoid laws and regulations. During a week where US prosecutors indicted the masterminds of a $4 billion crypto pyramid scheme and an auditor hired by a bankrupt Canadian crypto exchange revealed that its "lost" cold-storage wallets had been empty since April (leaving a giant $150 million hole where its customers' money should have been), Wall Street has broken through the crypto news clutter by announcing its latest tentative embrace of 'blockchain technology'. Just weeks after JPM introduced its own in-house stablecoin, the Financial Times reported Saturday that the world's biggest blockchain-focused ETF will begin trading on the London Stock Exchange on Monday. The fund will focus on companies with exposure to the emerging technology. companies from Taiwan Semiconductor Manufacturing to more established US-traded companies like Microsoft and Intel. Its total portfolio upon launch will include 48 companies. The Invesco Elwood Global Blockchain ETF will start trading on the London Stock Exchange on Monday. The ETF will invest in companies such as Taiwan Semiconductor Manufacturing, which supplies cryptocurrency manufacturers with mining chips, and CME Group, the US exchange operator that has pioneered bitcoin futures trading. Other constituents of the ETF, which carries a 65 basis points management fee, include Apple, Intel and Advanced Micro Devices. Chris Mellor, head of ETF equity product management in Europe at Invesco, said the potential for blockchain to boost earnings was often not reflected in the share prices of companies such as Rio Tinto, the mining company that owns hydroelectric assets that could be harnessed for cryptocurrency mining. The ETF will initially invest in a portfolio of 48 companies based on a proprietary scoring system developed by Elwood Asset Management, a specialist crypto investment boutique backed by Alan Howard, co-founder of the Brevan Howard hedge fund. Bin Ren, Elwood chief executive, said the possible applications for blockchain extended far beyond cryptocurrencies. 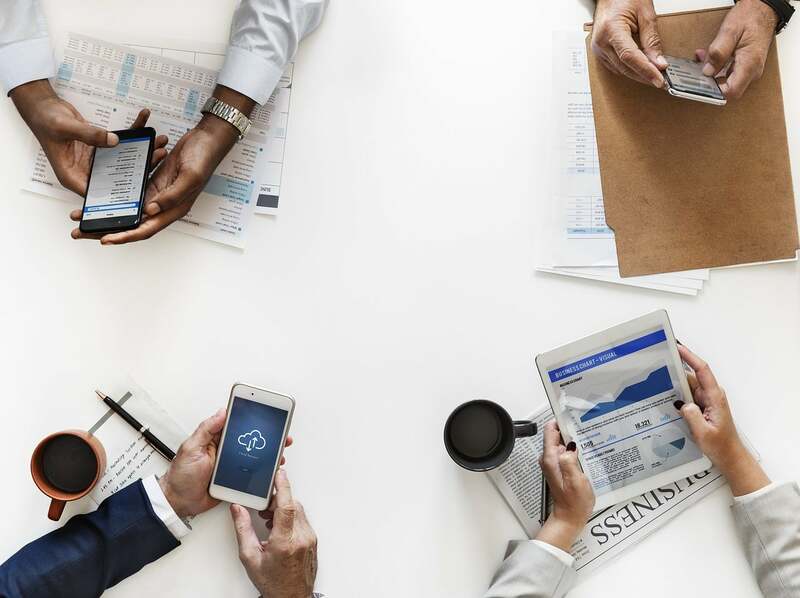 “We are beginning to see the technology being used by financial services companies in particular, but we expect greater application of blockchain technology across a wide range of industries,” said Mr Ren. 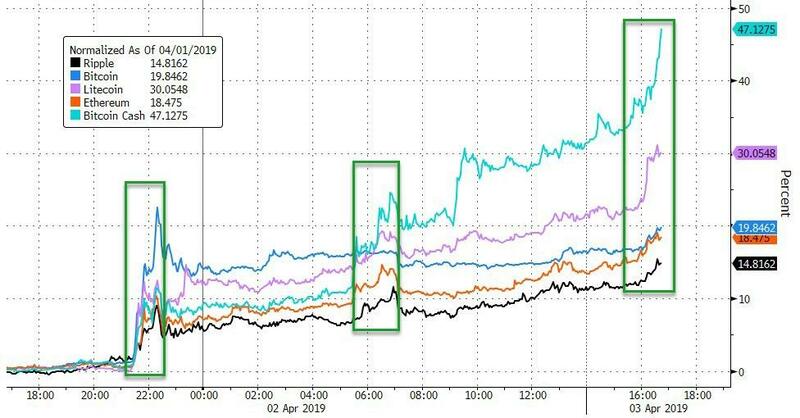 Cryptocurrencies are surging while the US equity markets take the day off. 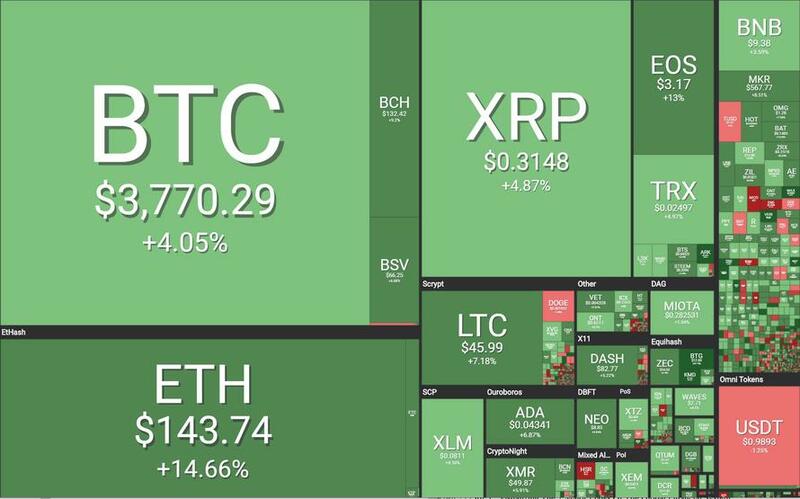 Ethereum is up over 18% from Friday's 'close' and the rest of the crypto space is a sea of green. While no immediate catalyst (headline or technical level) is clear, increasing chatter over institutional investors dipping their toes in the space have prompted an extension of the positive trend. As CoinTelegraph notes, the total market capitalization of all cryptocurrencies is around $128 billion as of press time, up a strong 3.7 percent on the week. While no immediate catalyst jumps to mind for today's surge, Bloomberg notes that institutional investors should consider dipping their toes into cryptocurrencies, according to Cambridge Associates, a consultant for pensions and endowments. 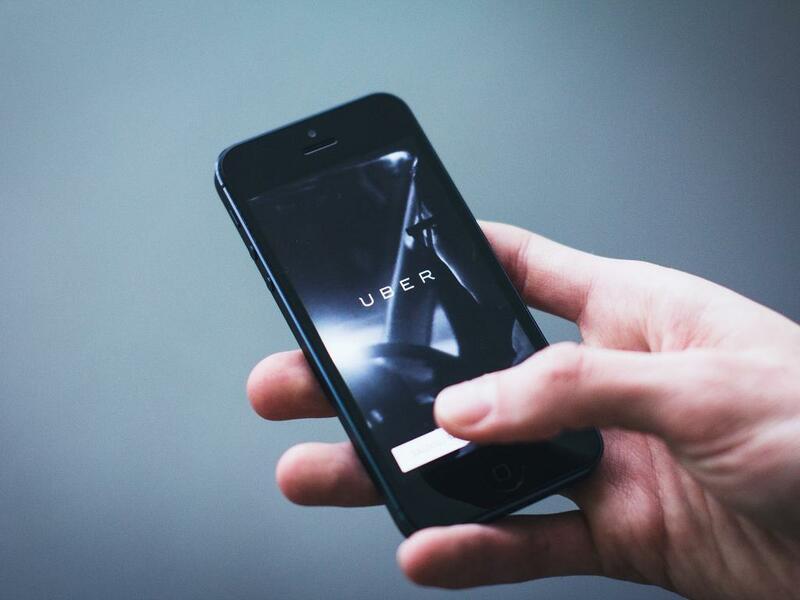 “Despite the challenges, we believe that it is worthwhile for investors to begin exploring this area today with an eye toward the long term,’’ said analysts at Boston-based Cambridge in a research note published Monday.